It's nice to hear that. 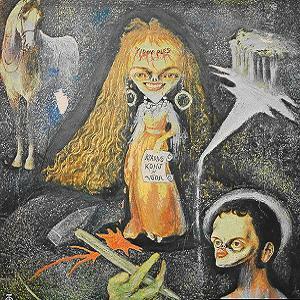 Kladivo Konj In Voda ("Hammer Horse In Water") were female-fronted progressive folk-rock band from Ljubljana. They released an album entitled Vidov ples ("Vid's dance" - Vid is the name of one of those ancient Slavic gods) in 1983. For long time being out of print and therefore an expensive collectors' vinyl, this album is finally re-issued at Atlantide / RIP net-label from Austria. Last edited by Svetonio; 04-01-2016 at 02:00 PM. 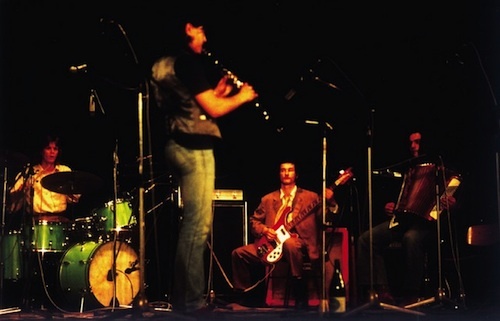 Begnagrad were an avant-rock band formed in Ljubljana, in 1975, with line-up: Bratko Bibič (accordion, vocal), Vlado Spindler (bass), Bogo Pečnikar (clarinet) and Igor Musevič (drums). They recorded early material in 1977 for Novi Sad radio station, but that material was not released until '92; this line-up disbanded in 1978, just to be re-formed in 1981, so new line-up were Boris Romih (guitar), Ales Rendla (violin, drums), Nino de Gleria (bass) with Bibič and Pečnikar as old members aswell. They finally recorded their first and only album in 1982. Begnagrad disbanded in 1983. Their only s/t studio album is worthy for Yugo-prog as an internationally re-issued album with some bonus tracks and it remained a highly regarded album among the avant-rock fans. 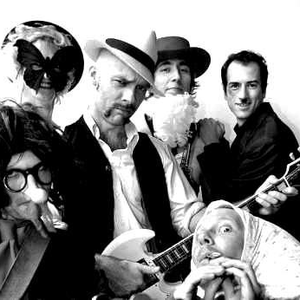 Begnagrad shared their avant-rock approach with Rock in Opposition movement and their live gigs across Europe in early 80s led Chris Cutler to claim "they were so good that they were really their own best promotion. Rock in Opposition movement had ceased to exist by then, otherwise I'm sure Begnagrad would have been invited to join." 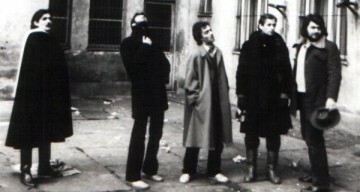 Galija ("Galley") formed by singer, acoustic guitar player & composer Nenad Milosavljević, in the city of Niš, in 1977; the band was named after a local bar where the band members were drinking. Besides Nenad Milosavljević, the band members were: Nenad's brother Predrag Milosavljević who wrote most of the lyrics in the early days and sang some vocals, Zoran Radosavljević on bass guitar and Boban Pavlović on drums, Radoman Kanjevac contributed with lyrics, and Bratislav Zlatković on keyboards and flute; Galija's frontmen Nenad Milosavljević also engaged guest musicians, mostly keys and guitar players. In the early 1980s, Galija was among the most popular Yugo-prog bands. At their first three albums, they recorded a quite nice symphonic rock songs, while their concerts were theatrical and interesting. Galija used to spend summers on the Adriatic Coast, and there they were playing so many free open-air gigs just near the sea. Personally, I saw them in Makarska and it was one of the most beautiful concerts I attended - atmosphere was amazing - symphonic rock concert in sunset at Adriatic Sea; though, I saw them for the first time live when they were playing as an opening act for Joe Cocker at his Belgrade concert which was a part of his Europen tour, 1979. In late 1980s onward, Galija sadly shifted their musical direction from symphonic rok towards mainstream soft-rock. First three albums Prva plovidba ("The First Voyage", 1979) Druga plovidba ("The Second Voyage", 1980) and Ipak verujem u sebe ("I Still Believe In Myself", 1982) were highly regarding by Yugo-proggers back in the day because those three albums are uncompromised symphonic rock albums, both musically and lyrically interesting. Last edited by Svetonio; 04-01-2016 at 09:14 PM. Tihomir "Pop" Asanović (founder member of Time and September) is a keys player who - with additonal musicians - released two beautiful jazz-rock albums Majko Zemljo ("Mother Earth") 1974 and Pop, 1976. His two albums are strongly recommended for the fans of Hammond organ driven jazz-rock recorded in the 70s. Igra staklenih perli ("The Glass Bead Game") were formed in Belgrade, by the school mates, in 1976. The band is named after Das Glasperlenspiel the novel by German writter Hermann Hesse which books were extremely popular among Yugoslavian youth in the 70s - Hermann Hesse was next to Carlos Casteneda, Stanisław Lem and Ursula Le Guin. Pretty unlike others Yugo-prog bands, Igra Staklenih Perli actually were formed as a punk-rock band, but they changed the music direction into space-rock before they released an album; though, one song from that early punk-rock period remained as a part of their encore-set and they were played it on the gigs in various versions. The members were: Zoran Lakić (keys) Vojkan Rakić (guitar) Predrag Vuković (percussion) and Dragan Šoć (drums). Their first concert was in Dadov Theatre, a popular meeting place for young people in Belgrade by then, in 1977; in 1978, they entered the studio and recorded their debut s/t album; it was released in 1979, on major label PGP RTB. Before the release of the second album, Draško Nikodijević left the band, so he was replaced by Slobodan Trbojević (bass) from jazz-rock band Ptica ("Byrd"). Their second full-lenght album, Vrt svetlosti ("A Garden Of Light") (1980), was recorded from August 1979 'til January 1980, nicely produced by Aleksandar Pilipenko; the album featured five magnificent tracks: Igrač ("Dancer"), Čarobnjaci ("Wizards"), Vrt svetlosti ("The Garden of Light"), Lunarni Modus ("Lunar Modus") and Sanjaš ("You Are Dreaming"). 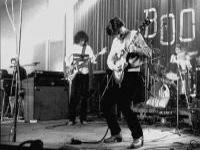 In 1980, the band played full album Vrt svetlosti live at concert in Beko Hall in Belgrade; Belgrade Television filmed that gig and shown it at their programme. In 1982, tv stuff director Stanko Crnobrnja made a short tv rockumentary, enititled Na svoj nacin ("On Its Own Way", about the band. Their farewell gig was in Sava Centar the concert hall in Belgrade, in 1985. The third album entitled ISP III sadly never was officially released; though, the tracks from the third album can be heard on various bootlegs and on MySpace. The band officially released two full-lenght live albums: Soft Explosion Live (1991) and Drives (1993). Austrian label Atlantide/RIP re-released their two studio albums online at Bandcamp and on vinyl, while German label Second Harvest re-released both albums on CDs. Igra staklenih perli reunited in 2011, but after only two gigs in Belgrade's club Žica, the band split-up. Last edited by Svetonio; 04-03-2016 at 01:36 PM. The band officially released two full-lenght live albums: Inner Flow (1991) and Igra svetlosti ("Dance of Light", 2007). There is also Drives and Soft Explosion Live, both archives with live material. I also thought Igra svetlosti was a comp that contained the two studio albums. Am I wrong about that? Of course you're right, sorry for that lapse! Inner Flow (1991) and Igra svetlosti (2007) are compilations, while Drives and Soft Explosion Live are live albums. Also, I forgot to say above that when the band split for the second time in 2011, that the band actually split in two fractions - 'Igra Staklenih Perli' and 'Igra Staklenih Perli The Next Generation' who released a studio album entitled Apokaliptus in 2012. Last edited by Svetonio; 04-03-2016 at 12:27 PM. It was also released in the USA on Fantasy. Does this mean that Smak actually toured the USA? If so where did they play? They weren't touring the U.S. It was one-off gig in NYC, and they played as an opening act for Marshall Tucker Band, also in NYC. By the way, in his last interview, Smak singer Boris Arandjelović (1948 - 2015) said that they released Black Lady in the United States, but that "the copies long gone." Tickmayer Formatio were an avant band from Novi Sad. Members were: Dušica Polovina: viola; Milan Vrsajkov: cello; Antonio Gaai: cello; Borislav Čičovački: oboe; Branislav Aksin: trombone; Stephen Grencsó: alto saxophone, flute; Mihály Dresch: tenor and soprano saxophones, flute; Geröly Thomas: percussion; Djordja Delibašić: percussion; István Kovács Tickmayer: piano, harmonium, melodica. Last edited by Svetonio; 04-05-2016 at 06:36 PM. Nirvana were a heavy & progressive rock trio from Zagreb; they were active in the early 70s. Members were: Tomas Krkač (bass, vocals), Zdravko Štimac (drums) and Krešimir Šoštar (guitar, vocals). September were a vocally fusion band founded in 1975, in Ljubljana, by above mentioned keys player Tihomir "Pop" Asanović and guitarist and singer Janez Bončina. Other members were Braco Doblekar (saxophone, percussion), Petar Ugrin (trumet, violin), Čarli Novak (bass), Ratomir "Ratko" Divjak (drums) and Marijan Maliković (guitar). In 1976, September was relased their debut album Zadnja avantura ("The Last Advanture"). They represented Yugoslavia at youth festivals in the USSR, East Germany and Cuba; in the beginning of 1978, September toured the United States, and at Florida they recorded their second studio album entitled Domovino moja ("My Homeland"). The group disbanded in 1979. In 2003, the compilation The Best of September was released. The band reunited for a tour with concerts in Pula, Portorož and Maribor, finishing with a concert in Tivoli Hall in Ljubljana, where they were an opening act for Deep Purple. On March 30, 2012, the group reunited to perform a concert in Cankar Hall in Ljubljana. Last edited by Svetonio; 04-05-2016 at 06:33 PM. Den za den ("Day By Day") were a short-lived fusion band from Skoplje. The members were: Dragiša Soldatović (keys), Sinisa Stojanovski (guitar), Vladimir Jankulovski (bass) and Dimitar Čokorovski (drums). The band released one self-titled albu in 1980. Last edited by Svetonio; 04-06-2016 at 01:48 AM. 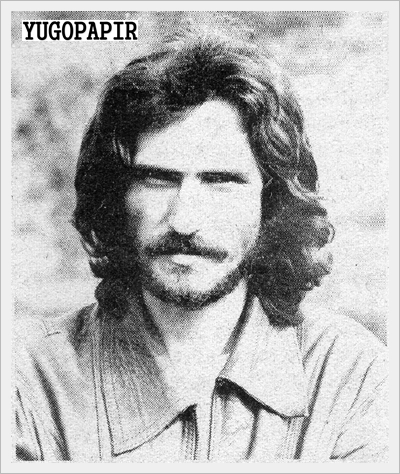 Suncokret ("Sunflower") were progressive folk-rock band formed in Belgrade in 1975 by singer and acoustic guitar player Borislav "Bora" Đorđević who will also formed - in 1978 - the band Riblja Čorba ("Fish Soup") which in the early 1980's will become one of the most popular acts of Yugo-rock in general. Other members were Nenad Božić (vocals and guitars) Snežana Jandrlić (vocals) and Vesna Rakočević (vocals). After release of successful debut single Kara Mustafa, the band performed at Boom Festival in Belgrade, 1976, and live version of their song Moj đerdane" ("Oh My Necklace") was released on BOOM '76 the live album. Suncokret's only one studio album Moje bube ("My Bugs") was released in 1977; among other songs, the album featured previously released Kara Mustafa the hit song and the band's signature song - Prvi sneg ("First Snow"), written by Dušan Mihajlović who will become a founder of an interesting 80s Yugo-post-punk band named Dr. Spira i Ljudska Bića ( "Doctor Spira And The Human Beings"); live version of Prvi sneg was released on Boom Festival '77 the live album (1977). After the debut album was released, keys player Duško Nikodijević and drummer Ljubinko Milošević became band's permanent members. In 1978, the band members refused to perform Đorđević's new song about a prostitute, so he left the band and Suncokret were disbanded; Snežana Jandrlić continued to lead a new and more electricized Suncokret, but without a success. Last edited by Svetonio; 04-06-2016 at 05:39 AM. Ex-Korni grupa legendary Yugo-prog drummer Vladimir "Furda" Furduj (1945-2015) was released a magnificent fusion album simply called Furda, in 1985. Last edited by Svetonio; 04-06-2016 at 12:31 PM. Petar "Pero" Ugrin (1944-2001) was trumpeter and violin player in already mentioned bands Mladi Levi and September. In 1979, he released a beautiful fusion album Samo muzika ("Music Only"). Suncokret's studio album is a very interesting attempt at bridging folk, psych and straightforward rock. The album sounds more 1974 than 1977 but in a challenging way, by not strictly following the retro formula. Too bad there hasn't been any sequel to this as it would have been a treat to see where such an approach could lead them during the punk/new wave years.